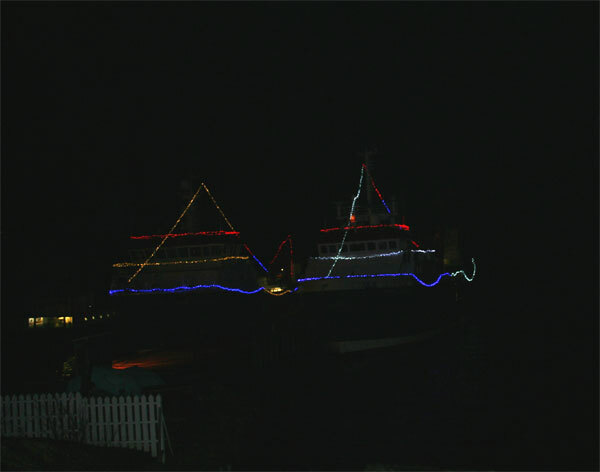 Just to wish everyone a very Happy Christmas from Lunenburg. I put this photo onto my Facebook and have to admit it isn’t my house. 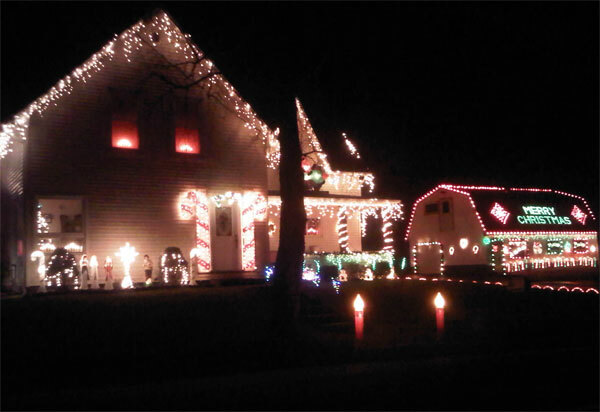 It seems that even here in Nova Scotia, people suffer from the North American ‘tacky light syndrome’. 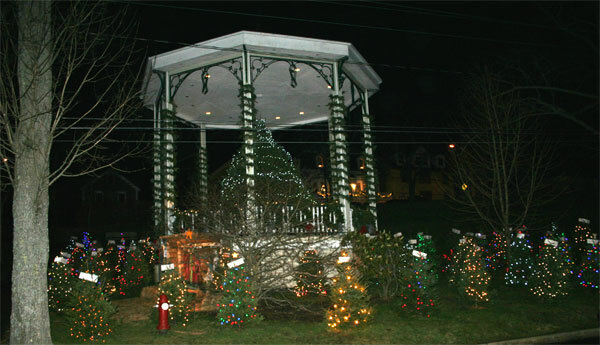 Lunenburg has more tasteful lights, with the little sponsored trees at the bandstand. 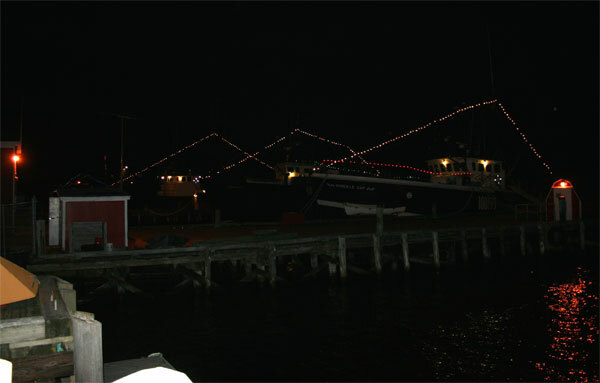 And the decorated fishing boats at the harbour. They make for a very pleasant walk along the front. 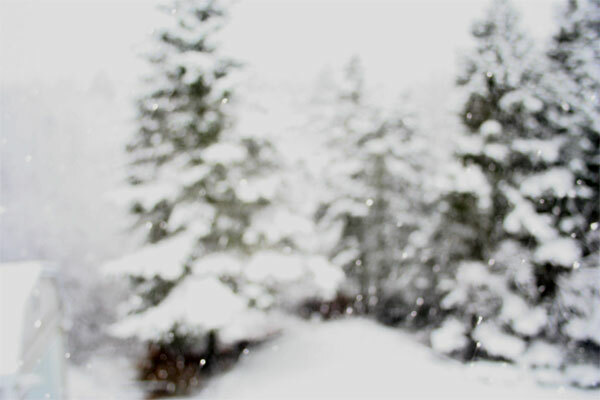 It has snowed here this morning and this is the view from our window into the garden. 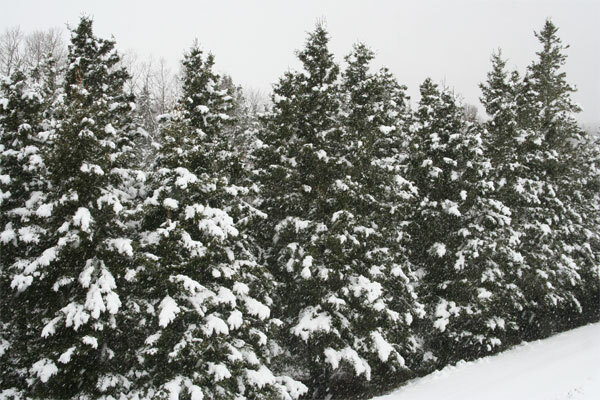 We should have a white Christmas. Jeff took this photo!!! It’s a bit out of focus! – but might make a nice painting. Have a wonderful Christmas, and I’ll see what I have to report in the New Year. 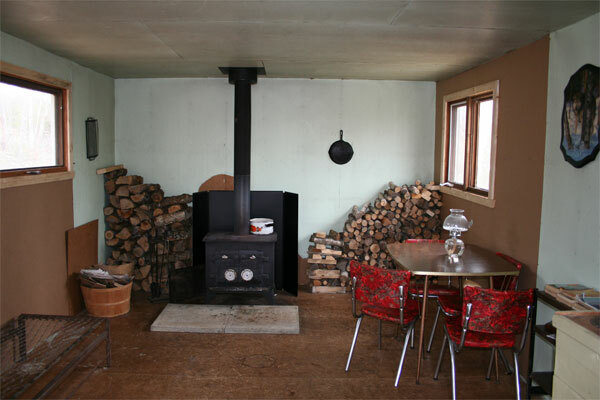 I had too much to say in my last post about the maple syrup farm. 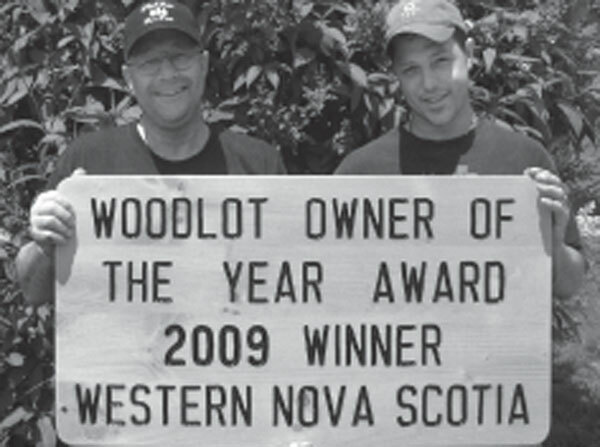 What a great place Maplewood Farm is and what a welcoming family Rex Veinot, his wife and son are. It seemed appropriate that Rex’s name meant ‘king’ while our name is ‘Queen’, but we didn’t know that his son’s name Ryan, meant ‘little king’. Visitors are shown around the sugar shed and everything is explained and demonstrated. Not only does the family run this maple syrup business, they also have a Christmas tree farm and take great pride in managing the woodland. As you can see they won the 2009 award . Everyone is welcome to walk the trails through the forest and enjoy it – at any time of the year. It gives you a good feeling to find someone who does not put up ‘Private’ and ‘Keep out’ signs. 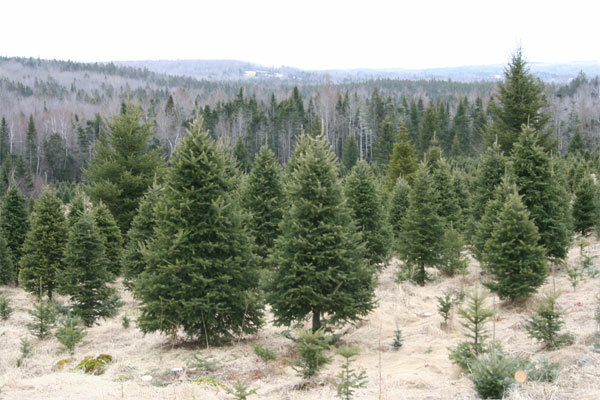 There are Christmas trees of all sizes, from tiny to huge. 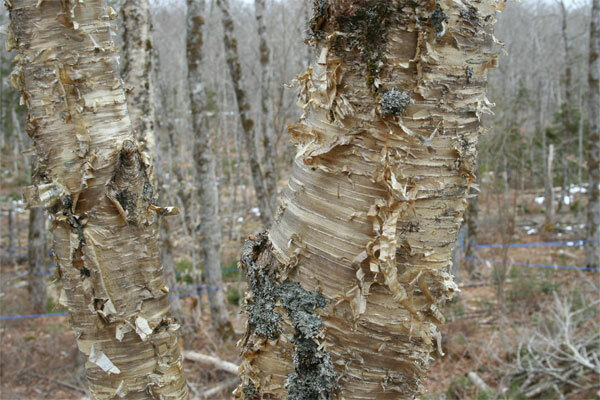 Although the deciduous trees were not in leaf yet we saw some interesting birch trees, with beautiful bark. 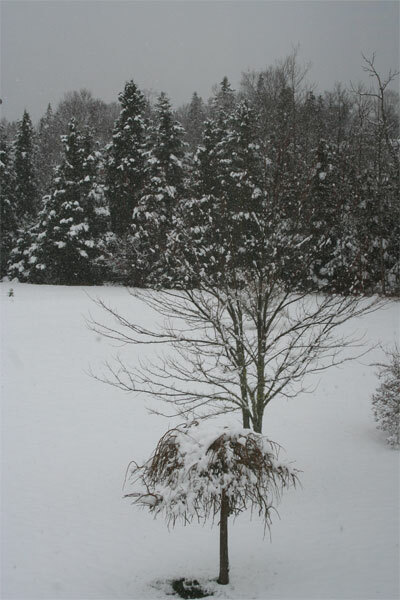 I think this might be the yellow birch. 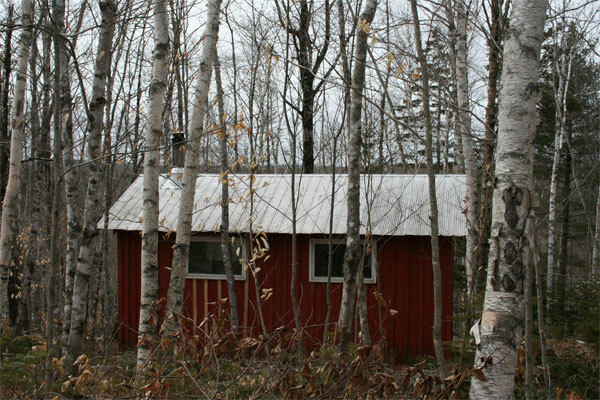 Rex even told us about a cabin they have in the wood where we could stay if we wanted. This was a really great place to visit and I hope that Rex Veinot and his family have lots of visitors.